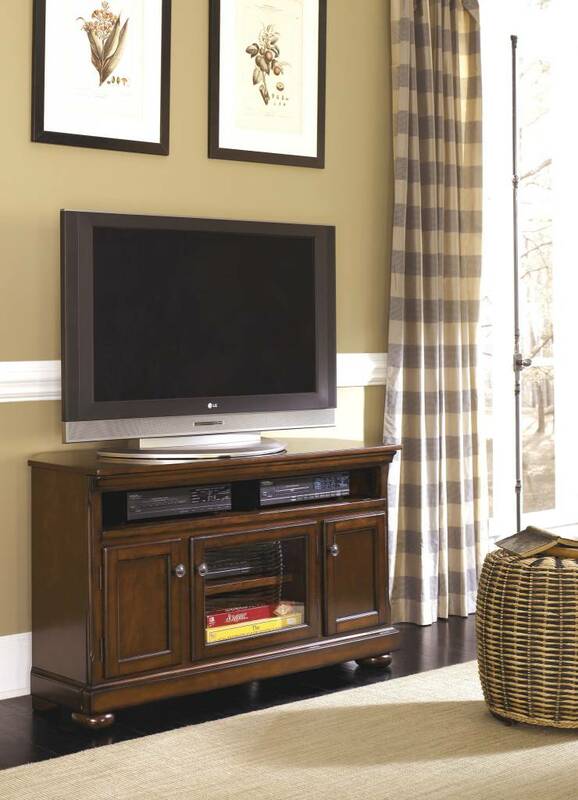 Item Description: Those drawn to the warm, homey feel of traditional interiors love how the Porter TV stand suits their style. A burnished finish and classic bun feet exude a sense of relaxed elegance. Adjustable shelving behind the doors accommodates your media needs, as do back panel cutouts for cord management and ventilation. Series Features: Made with select cherry veneer and hardwood solids. Burnished brown finish. Dark bronze colored knob and backplate. Lighted piers. Adjustable shelves. Framed door panels. W697-120 TV stand can accommodate the W100-01 fireplace insert and with -23,-24,25 completes a wall. 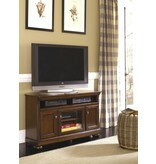 W697-132 TV stand can accommodate the W100-01 fireplace insert and with -33,-34,35 completes a wall. W697-28,-38,-58 has tempered glass doors. W697-120,-132 is compatible with W100-31 Small and W100-41 Large Integrated Audio.